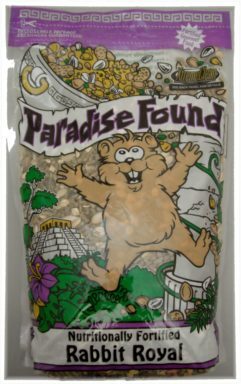 A fortified, gourmet food for hamsters and gerbils. 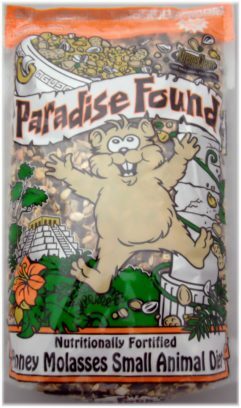 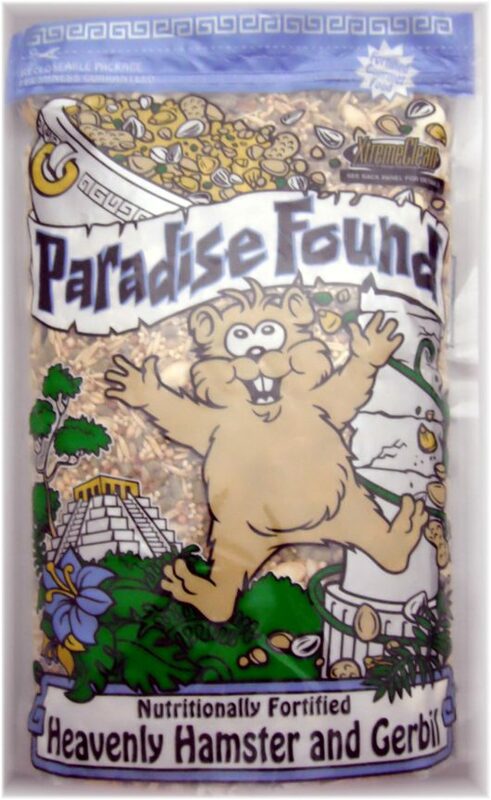 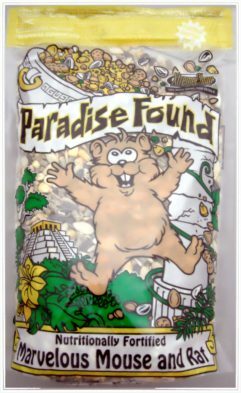 Paradise Found’s unique formula provides essential nutrients in an exciting mixture of high quality fruits, nuts, vegetables, speciality seeds, and grains. 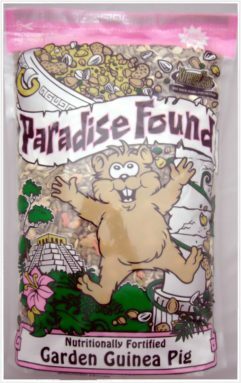 Ingredients: White Millet, Milo, Whole Oats, White Wheat, Whole Corn, Black Striped Sunflower Seed, Pumpkin Seed, Split Peas, Squash Seed, Dehydrated Carrots, Forage Products, Plant Protein Products, Grain Products, Salt, Vitamin A Acetate, Manganese Oxide, Vitamin E Supplement, Zinc Oxide, Vitamin D-3 Supplement, Ferrous Carbonate, Calcium Pantothenate, Riboflavin, Copper Sulfate, Folic Acid, D-L Methionine, Pyridoxine, Calcium Iodate, Sodium Selenite, Ground Corn, Soybean Meal, Corn Gluten Meal, Ground Wheat, Dicalcium Phosphate, Soybean Oil, Calcium Carbonate, Natural and Artificial Flavor, L-lysine, Salt, DL-Methionine, Natural and Artificial Colors, Choline Chloride, Rice Hulls, Ferrous Sulfate, Manganese Sulfate, Zinc Sulfate, d1-Alpha Tocopheryl Acetate (source of vitamin E activity), Niacin Supplement, Copper Sulfate, Sodium Selenite, D-Biotin, D-Calcium Pantothenate, Vitamin A Acetate, Ascorbic Acid (vitamin C), Riboflavin, Menadione Sodium, Bisulfite Complex (source of vitamin K activity), Pyridoxide Hydrochloride, D-Activated Animal Sterol (source of vitamin D-3), Thiamine Mononitrate, Folic Acid, Vitamin B-12 Supplement, Calcium Iodate, Mixed Tocopherols (a source of vitamin E), Citric Acid, Rosemary Extract, Mineral Oil.